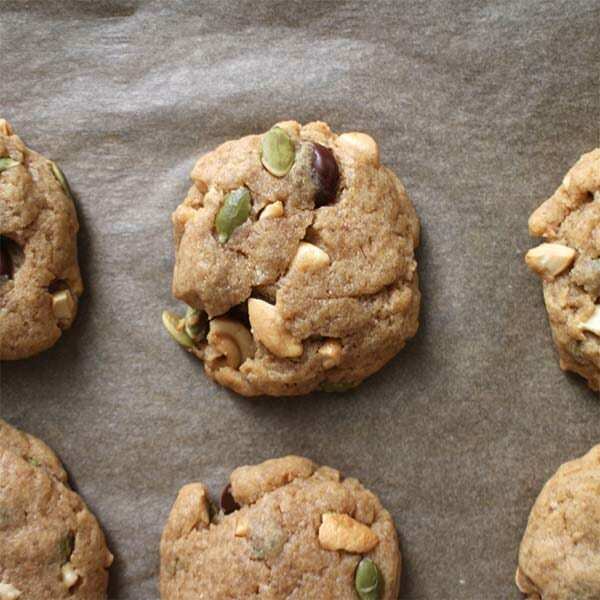 Make your sweet and easy Vegan Maple Cookies with whatever nuts or seeds you like. You can add chocolate chips, too, if that’s your thing! This recipe is basically a Choose-Your-Own-Adventure of Vegan Maple Cookies. In the recipe video and images, I used a mix of pumpkin seeds, cashews, and chocolate chips. 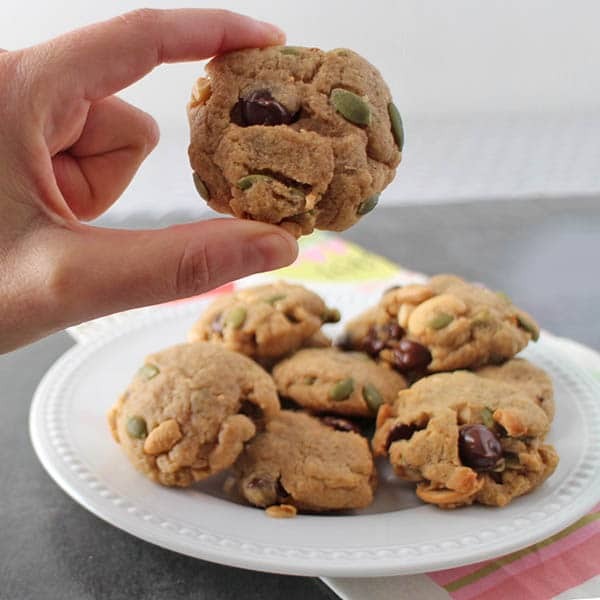 Choose your own favorite mix-ins to make these cookies your own! 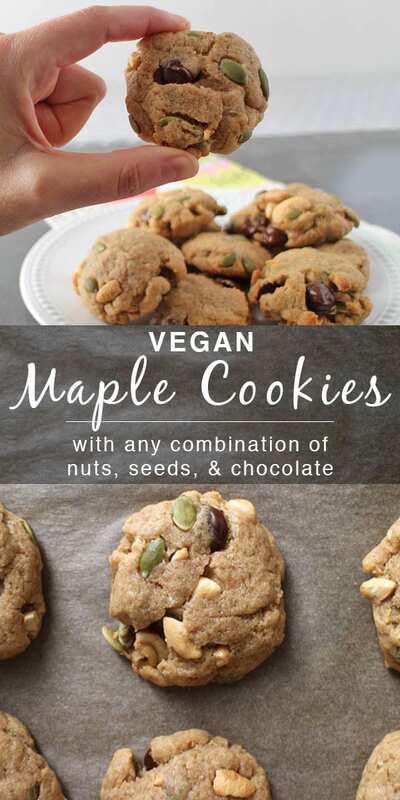 Let’s make some Vegan Maple Cookies! Make your sweet and easy Vegan Maple Cookies with whatever nuts you like. You can add chocolate chips, too, if that's your thing! 1/2 cup nuts of your choice - or seeds! Or a mix of nuts/seeds/chocolate chips! I suggest not doing more than 1/4 cup of chocolate chips, but you do you. This cookie recipe is pretty good. Now i can make the cookies at home for my kids. I love how you can mix and match these cookies to your liking! YUM! I’m so glad you said the flour can be substituted. I’ve been using Bob’s 1-1 GF flour for baking. 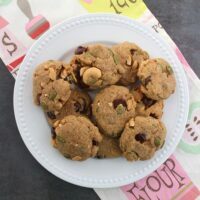 I can’t wait to try these cookies with chocolate chips! Ooh report back, so I can add that to the notes!! YUMMERS! I love how there are very few ingredients in this recipe! Yet another winner if you are trying to get into cooking and baking with Aquafaba like I am! Thank you! I love baking with aquafaba. 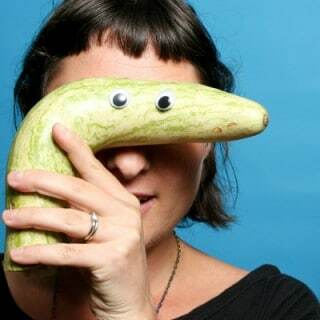 Happy experimenting, Jennifer! I love the idea of choose you own adventure cookies! I want to make mine with chocolate chips and peanuts! I am super into this idea!